Last month or so I finished rewatching The Office, all 9 seasons. Before that I rewatched Seinfeld again, think I started that run somewhere in the later months of last year. Both can be found on Amazon’s Primevideo service. At least here in EU. The length of the episode (about 24mins give or take) makes it very easy to just squeeze a show in here and there. In my (humble) opinion, these two are the best comedies made. With Seinfeld being a little more groundbreaking than The Office. It’s also notable that the internet doesn’t play any part in Seinfeld, and only slightly in The Office. The dunder mufflin personnel watches a few youtube videos, and there is an episode where Andy keeps looking at the comments on his banjo video, but there isn’t much more than that. It’s pretty weird to realise that a lot of scenes and situations would have been different, when the characters would have had the opportunity to look at the blind date’s facebook page or just been able to email, instead of calling or stopping by. Watching these episodes again, makes you realise how much life has changed even since the late ’90s, simply because of the internet. 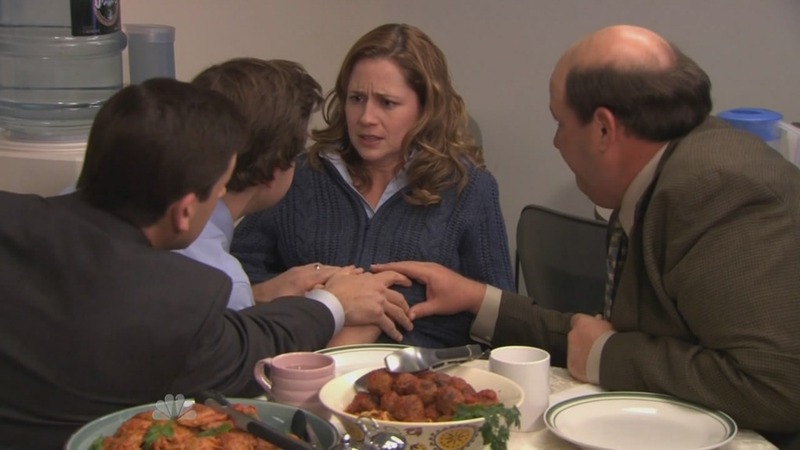 Posted in Movies / TV and tagged comedy, the office, tv on 4/6/2018 by Eric. Every since the excellent wedding episode this show has been going down hill a bit. It’s still ok, but not as great as last season or season 2 and 3. It has a ‘been there done that’ feel to it. But this one showed that there is still hope ! Jim is back to being a regular salesman, making fun of Dwight. I am hoping the Sabre CEO will leave soon, and Michael is back to being manager again. 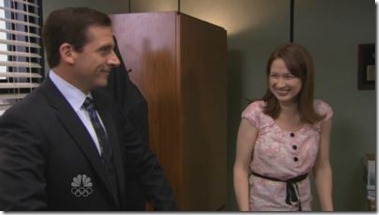 They could have done some more funny stuff with Michael as a salesman, but they didn’t. I guess Dwight and Ryan’s plan to take down Jim won’t be nescessary any more, so that storyline can end as well. 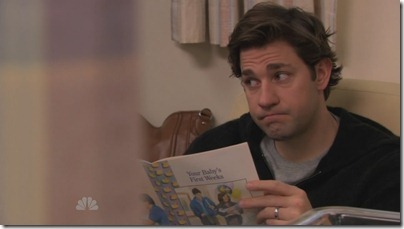 The Erin and Andy storyline needs to move on soon though. The situations they get in, are funny and one of the best of the show at the moment, but at some point they need to realise that they like each other. Not quite sure what’s supposed to happen then, as we have already seen one office romance in The Office. Let’s hope they can keep this up and this show will keep on being funny instead of just slowly fading away. Posted in Movies / TV and tagged the office on 15/2/2010 by Eric.